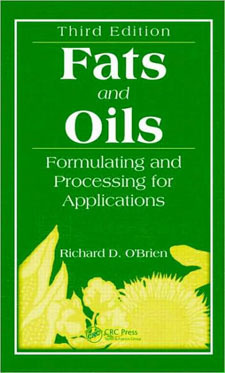 Fats and Oils: Formulating and Processing for Applications, Third edition presents proven quality and process control procedures. It delineates up-to-date processing procedures and formulation techniques as well as the effects of new ingredients, processing, and formulation on globally relevant applications. Full of practical advice, this ready reference combines 45 years of indispensable literature with the personal experiences of the expert author. It is an essential knowledge base for determining the best way to make processing and formulation techniques healthier and more cost-effective.